Alternate title: Flappy Birds, or Tweety Birds. 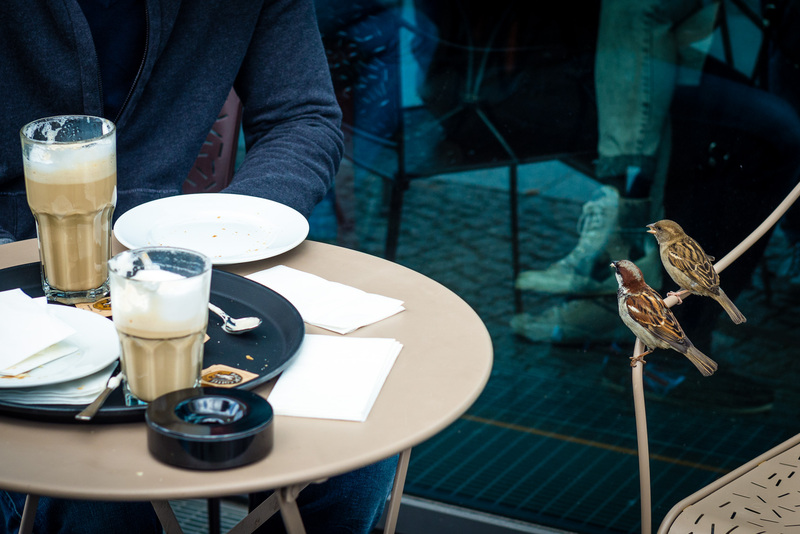 I’ll say this, some of the flying fauna in Berlin are mighty cheeky. I wasn’t quick enough to capture the throng (as in, seven or so) of birds sitting on the chair and chirping at the people to give them food and crumbs, but I did catch two of them. Completely unimpressed at the people snapping pictures, they kept demanding morsels and only flew away when shooed at. Vilka roliga bilder, alltså gråsparvarna och nallarna!